Working with glass not only requires a lot of artistic talent, it also requires nerves of steel given how fragile the material is. 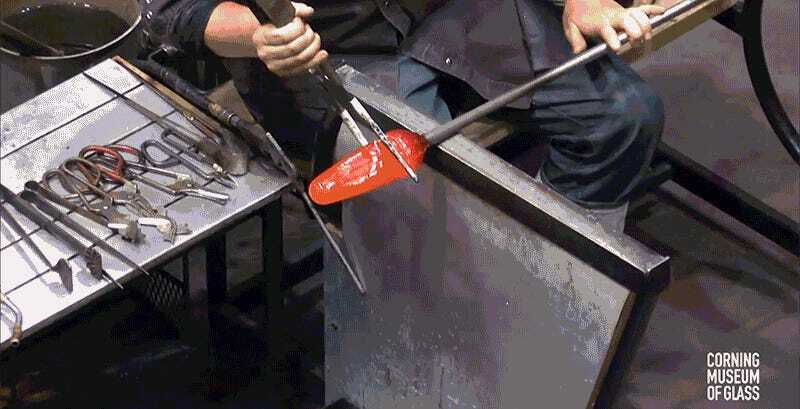 But master gaffer James Mongrain makes it look as easy as playing with Play-Doh as he turns a solid blob of molten glass into an intricate dragon sculpture. This demonstration at the Corning Museum of Glass is basically an hour of sorcery, as Mongrain uses nothing but simple hand tools (and lots of fire) to shape and transform the glass with an astonishing amount of detail.